Individual Statement of Significance. 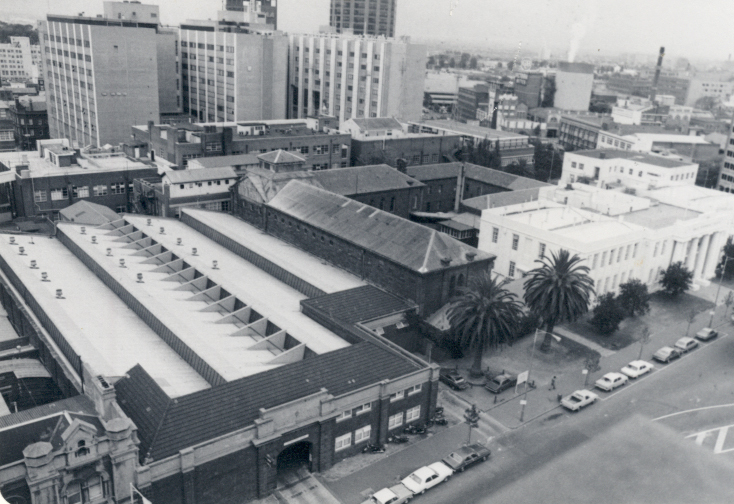 The Old Melbourne Gaol was erected in stages between 1841 and 1864 by the Public Works Department. The oldest remaining section now serves as a museum and consists of a long block (1851-53) with three tiers of cells terminating in the Central Hall (1860), the site of the scaffold. The chapel and entrance blocks and remaining walls date from the early 1860's. All the buildings are constructed in bluestone. The complex ceased to be used as a gaol in 1923. 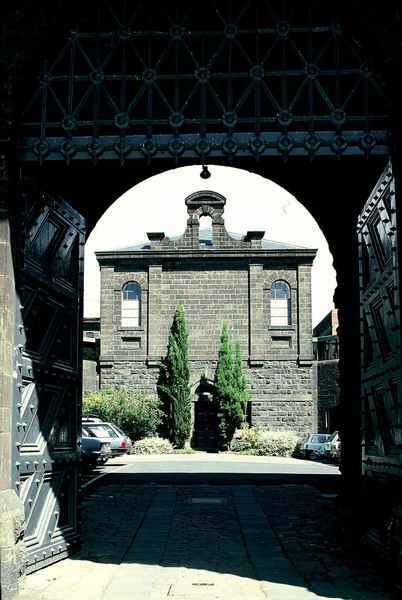 This is Victoria's oldest surviving penal establishment and comprises one of the state's most distinctive groups of blue stone buildings. 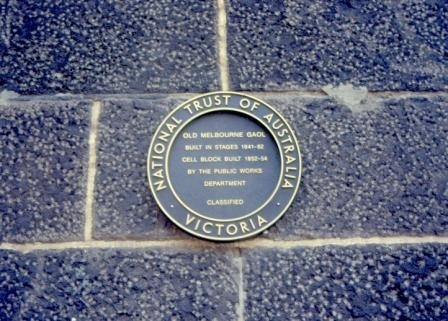 Of the many criminals imprisoned, executed and buried here the most notable is Ned Kelly who was hung in 1880. The old scaffold still survives. The well preserved cell block gives a gruesome picture of nineteenth century prison conditions. The chapel facade is the focus of the complex and a masterpiece of restrained design. The entrance gateway is also significant. The complex is basically intact except for some additions to the east wing of the entrance block and very sympathetic additions to the first floor of the link structure between the chapel and entrance block. The chapel interior has been carefully renovated, the chapel itself is now a studio. Also part of a Group Classification with B4653 - City Watch House, B2773 - R.M.I.T. Building No 1,, B3833 - City Court Group Group Statement of Significance: This group consists of the RMIT Building , 124 Latrobe Street, the City Court on the Latrobe/Russell Street corner, the City Watch House and the Old Melbourne Gaol in Russell Street. Each of the four notable buildings has already been classified in its own right. The former Working Mens College, now an RMIT building, was completed in 1891 in the Gothic Revival style and is architecturally compatible with the adjacent City Court. The Norman Revival style City Court built in 1911 is in turn compatible in scale and architectural detailing with the adjacent mediaeval style City Watch House which was built in 1907/8. The Melbourne Gaol bluestone perimeter wall and other gaol buildings are not only architecturally but also socially and historically linked with the City Watch House and City Court and together they form a notable streetscape in Russell Street.